Two decades ago, the aliens that populated Roland Emmerich’s Independence Day found themselves on the wrong side of history, during a time when Jeff Goldblum and his cigar-chomping co-pilot Will Smith sent the extra-terrestrials packing in epic fashion. 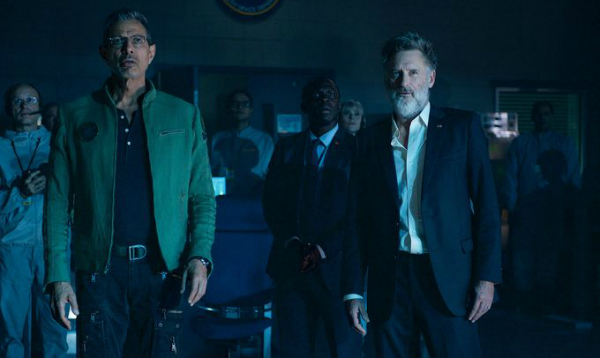 Now, they’re ready to exact their revenge in Independence Day: Resurgence. Continuing what has proven to be a busy week for 20th Century Fox’s long-awaited sequel – nipping at the heels of new stills and an appropriately huge, five-minute trailer – the studio has now premiered a series of posters for Resurgence proving that, yes, those pesky aliens haven’t lost their knack for blowing the Earth’s monuments to kingdom come. Hunkering down to ward off yet another extinction event is Goldblum’s returning David Levinson, who now commands the world’s unified Earth Space Defense program in anticipation of an imminent attack. This time around, uploading a measly computer virus to the mothership is out of the question, leaving the fate of humanity resting in the hands of the sequel’s core cast: Bill Pullman, Judd Hirsch, Vivica A. Fox, Brent Spiner, Charlotte Gainsbourg, Jessie Usher, Maika Monroe and Sela Ward. 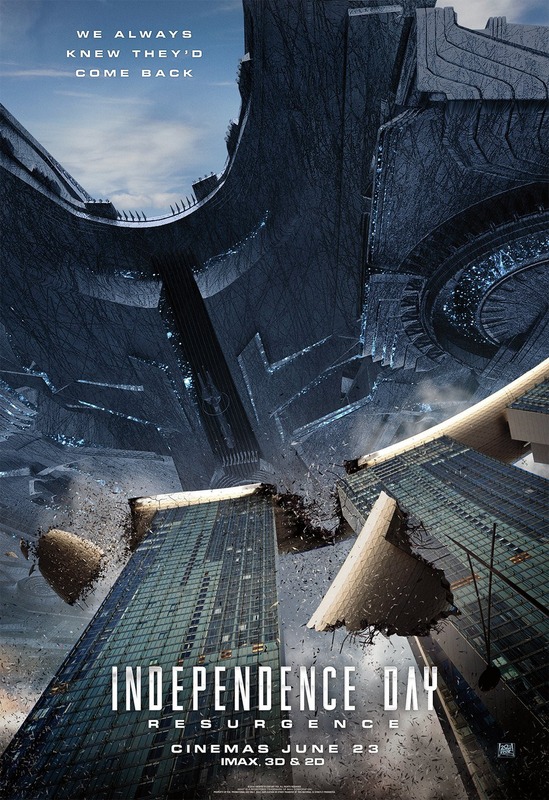 Independence Day: Resurgence casts an almighty shadow over theaters on June 24.